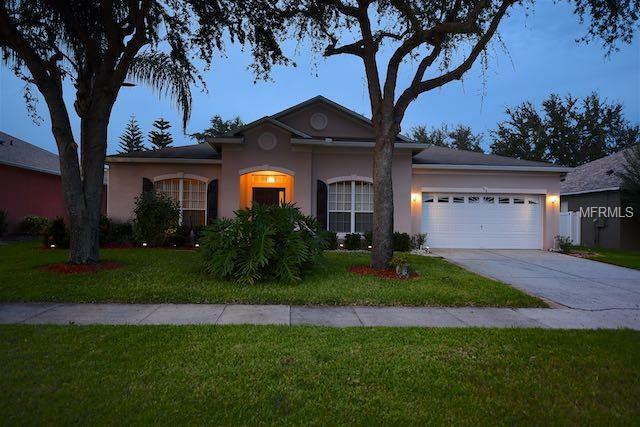 BEAUTIFUL POOL HOME IN DESIREABLE HIGHLANDER ESTATES. 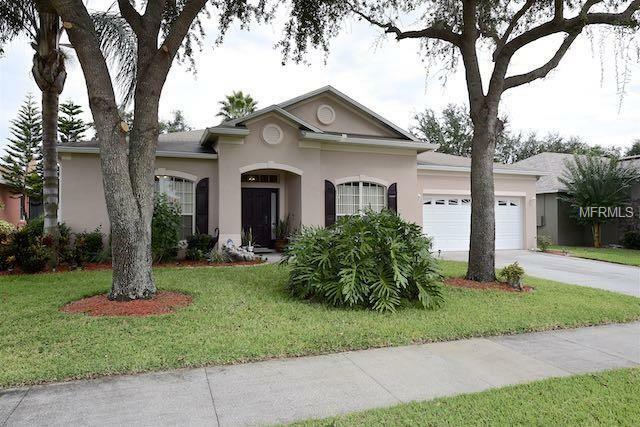 This beautiful, meticulously maintained POOL home has 5 bedrooms, 2 bathrooms, bonus/activity room and an oversized two car garage. As you walk in the front door the foyer is very warming with beautiful archways and crown molding to the formal living room and formal dining room. 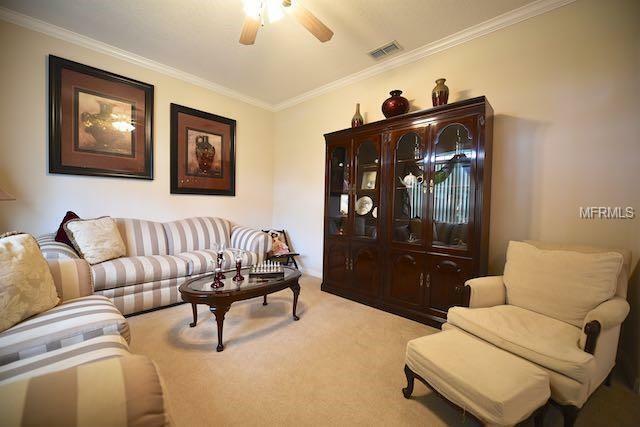 The family room has plenty of space for all of your entertaining needs, upgraded ceiling fans and has sliding glass doors to a beautiful pool and lanai. The kitchen features solid wood, 42 inch cabinets, a breakfast bar, 15 x 10 kitchen nook area and all kitchen appliances stay. 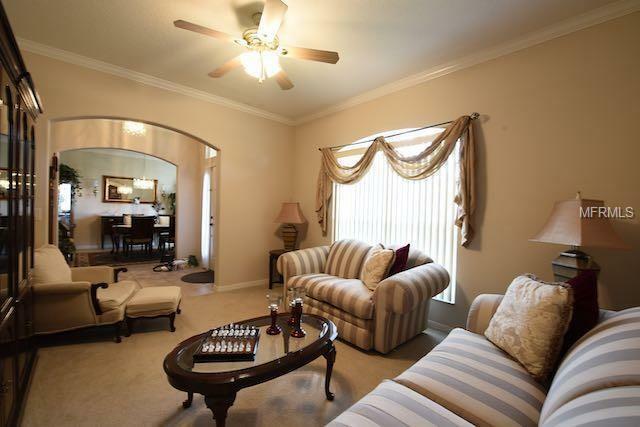 Master bedroom has an upgraded ceiling fan and overlooks the pool. The Master bathroom has a garden tub, separate shower, huge walk-in closet and dual sinks. The exterior is nicely landscaped and has a GORGEOUS 30FT x 14FT SOLAR HEATED POOL with a dolphin water fall, upgraded tropical lighting, Baracuda pool cleaner and a huge screened lanai. The pool pump is 2 years old and the air conditioner is a 13 seer, 5 ton installed 2015. This home has gutters, an alarm system and pull down stairs in the garage, safety gate for the pool, programmable sprinkler and programmable outside lighting. The community is close to downtown Clermont, Waterfront Park, Clermont Rails to Trails, shopping, dining, schools and highways. MAKE YOUR APPOINTMENT TODAY! !